Summary: Ms. Polinsky was found in her two-story, rented farmhouse located on New Holland Street near 152nd Avenue. 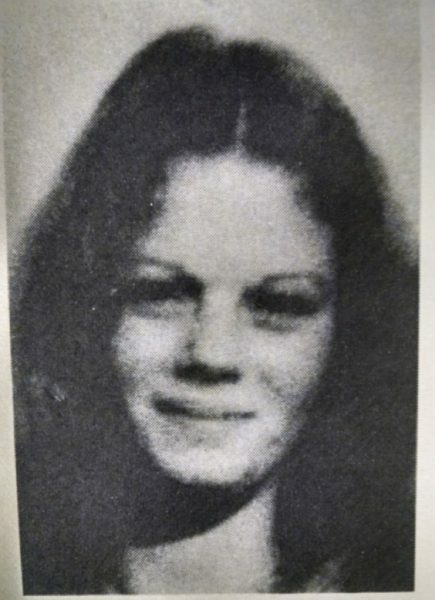 Her body was discovered by a co-worker after Deb failed to show up for work on Monday, 07/25/1977. Deb worked second shift at Depree Chemical Company. Ms. Polinsky was stabbed to death. There is no known motive for her death. Ms. Polinsky was known to frequent the Holland and Saugatuck areas and had attended Holland Public Schools. She was often seen in her red, VW Beetle and in the company of her German shepherd, “Thor”. Update: The Ottawa County Cold Case Team has been actively investigating the Polinsky homicide for the past eighteen months. The team has interviewed over 180 persons since taking on the case. With that, detectives have sent 40 DNA samples to the lab for comparison and over 600 latent prints have been analyzed. Advances in technology have allowed investigators to gain valuable insight into this crime. As a result of some of those advances the Ottawa County Sheriff’s Office is requesting the public’s assistance in identifying a female that they believe was at the scene at the time of the incident. Holland Sentinel, Wednesday July, 27, 1977, page 1 (click on the image to enlarge it). Posted on Monday, December 22nd, 2008 at 4:48 am. Last updated on Friday, February 2nd, 2018 at 10:22 am.